Seamlessly transform your on-premises apps to SaaS solutions at a cost-effective scale, with flexible performance and unmatched PaaS capabilities, using Azure SQL Database. Azure SQL Database is a fully-managed relational database-as-a-service that you can use to build data-driven applications in the programming language of your choice. It includes features like provisioning and resizing, built-in high availability (HA), automatic backup, point-in-time-restore, and active geo-replication. In addition to the benefits of PaaS, Azure SQL Database also includes built-in intelligence that helps you dramatically reduce the costs of running and managing databases and maximizes both the performance and security of your applications. Microsoft Azure is the first-class cloud platform for open source technology that empowers you to bring the tools you love, along with the skills you already have, to build and deploy any application. With Azure Database for MySQL and Azure Database for PostgreSQL, you can now choose your favorite database engine delivered as a fully-managed service with high-availability and dynamic scalability. These services bring the community version of PostgreSQL and MySQL to the cloud, and seamlessly integrate with most common open source programming languages (such as PHP, Python, and Node.js) and application development frameworks (such as WordPress, Magento, Drupal, Django, and Ruby on Rails). If you want to quickly build and deploy a new app, you can now take advantage of managed service capabilities offered by Azure while continuing to use the familiar community tools with your MySQL or PostgreSQL databases. SQL Database Managed Instance is an expansion of the existing Azure SQL Database service designed to quickly and easily move your SQL apps to a fully-managed PaaS, without re-designing your application. Azure SQL Database Managed Instance provides high compatibility with on-premises SQL Server programming model and out-of-box support and tools to manage data and enable new scenarios in the cloud for your applications. This includes features like SQL CLR, SQL Server Agent, and cross-database querying. Using a fully-managed PaaS database frees your IT overhead, dramatically reducing operational costs and redirecting resources to more value-add activities. Azure SQL Database Managed Instance is scheduled to be available for public preview later this fall. Apply to our Microsoft Data Accelerator program to upgrade your on-premises applications or begin the journey to migrate them to the cloud. The Microsoft Data Accelerator provides access to highly reliable, automated upgrade services for the four scenarios highlighted above. Backed by the rich experience of upgrading thousands of applications, Microsoft Data Accelerator enables you to modernize your applications and provide a broader range of platform choices to your customers. 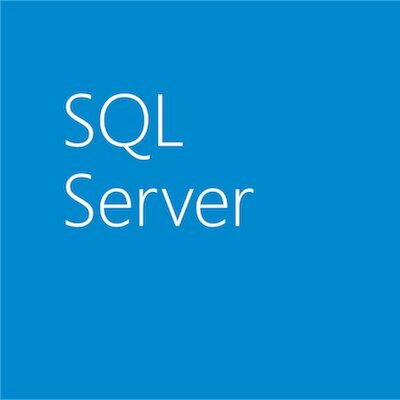 ³According to the National Institute of Standards and Technology, SQL Server has had the fewest security vulnerabilities over the past seven years when compared with other major database vendors.